Reminder: SNL Open Thread Tonight! 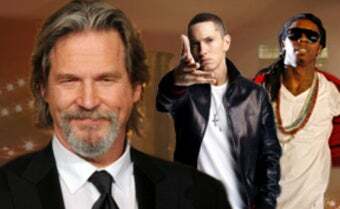 Tonight's SNL is a total dudefest, with Jeff "the Dude" Bridges hosting and Eminem and Lil Wayne providing our musical entertainment. The Jezebel open thread starts at 11:15 EDT, so come back and chat with us!